Judy Aitken is the founder and former director of ASAP Ministries, a mission organization using Christ’s method to bring hope to the poor, suffering and oppressed. Currently ASAP Ministries supports over 600 church planters, medical missionaries and Bible/literacy teachers in the countries of Cambodia, Vietnam, Laos, Thailand and Myanmar. 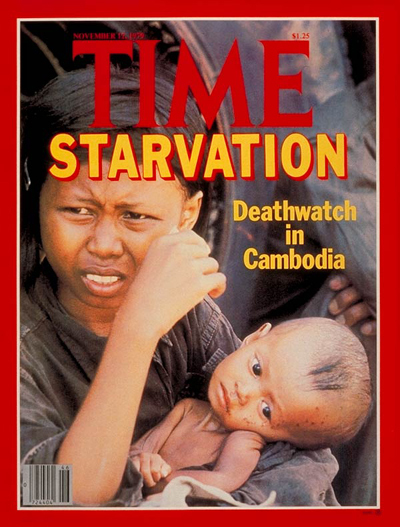 Back in 1979, as Judy Aitken was looking at the cover of Time magazine, a strong impression came over her which said, “Go and help these people.” On the cover, an anguished Cambodian mother held an emaciated baby in her arms. At that time, thousands of Cambodians like this woman were fleeing the "Killing Fields" to seek asylum in refugee camps. Over the next few weeks the Lord had made it clear that he wanted Judy to go over and use her nursing skills to make a difference. As Judy worked in that bamboo hospital along the Thai–Cambodia border, little did she know that her five-week commitment to help the poor and suffering in refugee camps would blossom into more than 30 years of service to Southeast Asians. Day after day, she fervently offered up prayers as she treated people who had survived the ravages of landmines, disease and starvation. Her heart broke as malnourished children passed away in front of her. Judy had begun an evening Bible study that provided a group of refugees with the comfort, hope and peace that can only be found in Jesus. As this ever-growing group of refugees began accepting Jesus as their personal Savior and began inviting their friends, Judy realized that these people needed Jesus Christ just as desperately as they needed medical attention. It became apparent that, to evangelize purposefully and then offer support to the newly-formed churches, she and her team would need to begin their own non-profit ministry, which was named Projects Asia. Through the blessings of the Lord, churches were started in many different refugee camps. Projects Asia also began ministering to the Vietnamese, Lao and Hmong refugees located in camps along Thailand’s border. Bibles were provided and the members were nurtured and trained. In less than seven years, 17 churches were planted and over 10,000 people were baptized into the Seventh-day Adventist Church®. In 1987, the United Nations High Commission for Refugees (UNHCR) sought to close the refugee camps and thousands of Adventist believers returned to the war-torn countries of Cambodia, Laos and Vietnam. As Judy returned to the U.S., her heart remained with the people of Southeast Asia. She could not forget the faces, the lives, and the passion of those she left behind in the camps. Six months after she returned, the doors opened for Judy to serve the people of Southeast Asia when Adventist Frontier Missions (AFM) in Michigan hired Judy as their refugee coordinator. In this capacity, her frequent trips abroad allowed her to be actively involved in working with the Southeast Asia Union Mission (SAUM) to help establish the Adventist Church in Cambodia. After working with AFM for six years, SAUM president, Robin Riches asked Judy to start an organization to work with them as a supporting mission. A year later, the Lord miraculously led Judy to begin ASAP, a non-profit corporation. ASAP, now ASAP Ministries, has been in operation since 1995. The results today in Cambodia are that thousands are worshiping in faith all over the country. Many of the district pastors in Cambodia were former refuguee camp church leaders. Through the Lord's many blessings, ASAP Ministries continues to support the spread of the gospel in not only Cambodia but also Vietnam, Laos, Thailand and Myanmar and beyond.